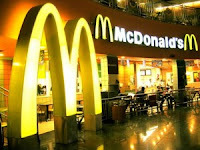 E-Quip Blog: Could We Learn Something From McDonald's? The rock bottom of low achievement or hard times, it seems, is to end up "flipping burgers at McDonald's." Similarly, we sometimes evoke the fast food giant's name as symbolic of low-price, low-value business--that is, the antithesis of what we aspire to in the A/E profession. But in reality, McDonald's is the epitome of success. Their distinct business model and practices have been well documented and widely praised. Indeed, McDonald's has proven to be virtually recession proof over the years. They are currently outperforming Wall Street estimates and the Dow Jones industrial average. The recent news that they will be offering free Wi-Fi access at 11,000 restaurants across the country in January got me thinking: Have I mischaracterized them? The move is an obvious rejoinder to none other than gourmet coffee icon Starbucks. McDonald's as the next hangout spot? They already have provided heady competition for specialty coffees--at considerably less cost. Consistency creates value. Imagine you're passing through an unfamiliar small town at dinner time. There's only two choices of restaurants: McDonald's and Maxine's Grill. Which do you choose? Most of us would probably go with the former, not so much because we like it but at least we know what we're getting. Say what you will about McDonald's, but they are generally consistent in terms of the food and the experience. Now pick the average A/E firm. If you're a client working with two different project managers, you're likely to get two entirely different experiences in terms of service and work process. Add another office to the mix and the differences are probably magnified. I've heard several clients describe their interactions with different members of their A/E service provider as "like working with different firms" under one name. As I noted in a previous post, the path to the "branded experience" requires first achieving consistency in how you serve clients. Most A/E firms unfortunately still deliver the "random experience." Consistency may not be the highest value, but it is a necessary step in creating enduring value for your clients. Not every need requires a customized solution. When McDonald's founder Ray Kroc first visited a hamburger stand operated by the McDonald brothers in 1954, he was impressed by their quick service and eventually imagined a whole new industry--fast food. He simplified the menu, standardized the food preparation process, and a built an organizational culture focused on the customer. That's customer focus without customizing your order, interestingly. In our industry, we tend to speak of "off-the-shelf solutions" with disdain. That's beneath us. Yet we address the vast majority of our own needs with off-the-shelf solutions. Why? They're generally cheaper and faster--and fully adequate for the need. Do our clients really need custom designs for everything? Are there ways we can deliver our designs and other services faster and cheaper--without necessarily eroding our bottom line? A few years ago, one of my clients was lamenting the downturn in one of their specialty markets: Fire stations, especially in small rural communities. As budgets were getting tighter, these towns were going with less expensive (and reputedly less experienced) architectural firms. "Why does every small town need a custom-designed fire station?" I asked, "What if you had a catalog of, say, ten designs to choose from (like those house plan books)? You could customize the facade or flip the layout to give it a different look. Then charge well below the custom design fee, but at a premium for the level of effort involved." Of course, they quickly dismissed my suggestion. The New Normal for our business, everyone seems to agree, will include increased price sensitivity among clients (as if this wasn't already a problem!). Perhaps it's time to rethink our "product line." Could there be a greater demand for more off-the-shelf solutions delivered cheaper and faster? How might you streamline your work process and work products without sacrificing client focus or profitability? A true meritocracy elevates performance. One of the fascinating facts about McDonald's is how many of their top executives started at the bottom. Reportedly, 20 of their top 50 executives once served as regular crew members. Two of the past three CEOs worked their way up from flipping burgers to running the company. How? McDonald's places great emphasis on having a meritocracy. If you're not familiar with the term, it refers to a work environment in which employees are promoted solely on the basis of their achievements and performance. Like your firm--or is it? The fact is many firms fall short of having a true meritocracy. There are commonly artificial, if unintentional, barriers to advancement. For example, relatively few nontechnical professionals attain the status of principal. Most non-degreed individuals, such as administrative staff and CAD technicians, have limited career options. Of course, you could argue that few of the above exceptions ever merit moving very far in the organization. They may lack the right skills or knowledge specific to our business. But do we sometimes simply assume they can't develop these attributes because of their education or background? In many firms there is something of a class distinction between "professionals" and "nonprofessionals." Not exactly endearing terms to create a sense of uninhibited opportunity, is it? Then there's the other side of a meritocracy--dealing with underperformers. Rare are the firms that don't struggle with this, failing to address lingering performance problems, especially among their most credentialed employees. Research and experience show that this has a deleterious effect on the office. It drags down morale, and ultimately the performance of others. But companies with a true meritocracy demonstrate much higher levels of employee engagement, performance, and retention. Continuous improvement fuels excellence. The changes may not be evident to most of us, but McDonald's is characterized by a culture of continuous improvement and ongoing modifications to the business model. They've had a few slip-ups along the way, noticeably in the early 2000s when growth slowed and other problems arose. But they eventually find a way to trump the competition and keep the customers coming. Change is one of the foremost challenges facing A/E firms coming through and out of this recession. Evidence suggests that we are facing a prolonged period of uncertainty and change. Client needs will be evolving and the best firms will evolve with them. Does your firm have a change-ready culture, one committed to continually improving how you serve clients and perform your work? That, I believe, will increasingly become the standard for success. A sustained culture of continuous improvement isn't something that comes top-down from management, although leaders must lead the change. It's a grassroots effort, with staff at every level thinking about how they can do their jobs more effectively and serve the client better. In this regard, maybe even we can learn something from a company we often think of as residing at the other end of the scale of "professionalism." Perhaps the point is that success is based not on what you do, but how well you do it.